Concessions in Oshawa: The End of an Era? In the early 1980s General Motors workers in Canada refused to follow their American parent (UAW) in opening their collective agreement. The ensuing conflict eventually led to the Canadians breaking away to form their own Canadian union (CAW). Earlier this month the CAW leadership opened the collective agreement in Oshawa, threatening the end of a proud era of autoworker resistance and working class leadership. For over two decades, from the end of the 1970s into the new century, the CAW was the union that symbolized resistance to neoliberalism. Over this period, the CAW stood as an inspiring contrast to the American union, where concessions were readily accepted and sold to the members in the name of job security – even as the UAW membership at GM fell from 450,000 when the concessions began to 105,000 today and are now scheduled to fall to 75,000 within three years, a stunning loss of five jobs of every six that existed. Yet now the Canadian leadership was itself selling concessions to its own members. It should be noted that Canadian autoworkers weren’t immune from these larger changes, but their job losses were proportionately half those in the U.S. though they kept their gains intact and union self-confidence was consequently maintained or strengthened. In the early 1990s, the CAW responded to management’s notions of work reorganization with their own agenda for defending workers. Today, the union sounds uncomfortably like management as it reinforces GM demands for ‘flexibility’1 In 1996, the CAW struck GM – successfully – over the very outsourcing issue it was now giving up in the middle of an agreement (endorsing the loss of some 400 janitors – preferred work for some senior workers – and indicating more ‘flexibility’ as needed). Since the breakaway from the UAW the CAW consistently fought for improvements in work time. Now, in spite of added pressures on workers and an older workforce, relief time is being surrendered. The leadership’s defence has echoed the earlier refrain of the UAW (not to mention the familiar mantras of Thatcher then Blair): ‘The world has changed’, ‘there is no alternative’, ‘expectations have to be lowered’. These lame phrases reveal a sad memory loss of the risks and uncertainties of that earlier time when the union resisted in spite of global and national trends, the warnings of its American parent, double-digit unemployment rates in the economy, and concerns about industry trends that were at least as great as today’s. The world had changed back then and it is continuing to change today, but the lesson to be learned is not that becoming a spokesperson for the companies or forging closer ties to Liberal politicians will save us. Nor that our expectations should be lowered as technology develops and the economy becomes more productive. The question rather is whether unions are up to changing their own structures, building the appropriate allies, and developing a vision that can excite and mobilize their own members as part of challenging, rather than giving into, corporate power. The CAW was of course not the only union that stubbornly continued to defend its members in the earlier period – though most did not – but its predominance within the mainstream Canadian labour movement and its dramatic exit from the UAW over concession-bargaining assured the Canadian autoworkers its international reputation. Today too it is not only the CAW that is making concessions, but the past role of the union gives this latest reversal a heightened significance. 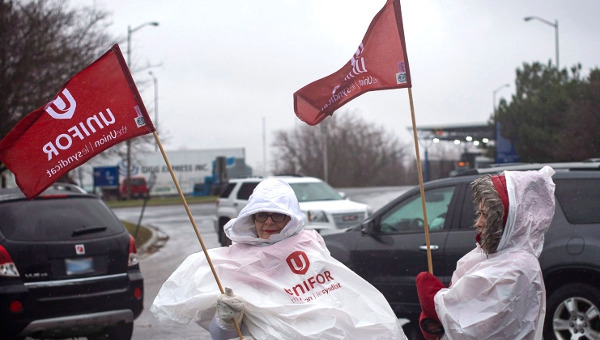 Moreover, the status of the Oshawa facility means that concessions here set up the most dangerous precedent for not just other autoworkers, but all workers – if here, why not everywhere? The last point is worth some elaboration. The Oshawa car plants are, in terms of productivity and quality, considered to be not just GM’s best plants but the best facilities on the continent – yes, even in comparison to the Japanese transplants. In this context, it might be thought that demanding even more of workers who have already delivered the goods to this extent doesn’t carry much credibility. Even less credible is GM’s warning that in response to its crisis, it would close its best plants. And with GM having identified its principal problem in the U.S. as the costs it bears under the privatized American health care system, its hard to understand why they would close Canadian facilities whose lower health care costs bring savings GM has publicly admired. 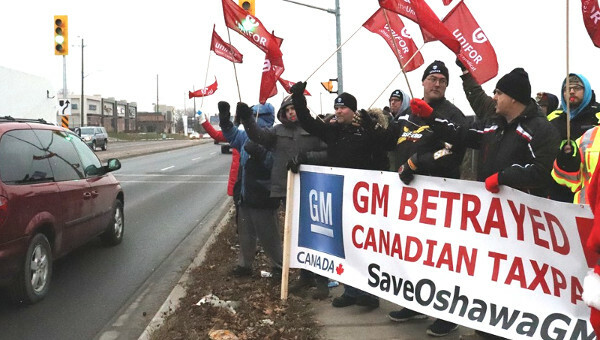 GM claims – without presenting any hard evidence – that Canada’s perennial cost advantage is fading because of the rising Canadian dollar and the concessions made by workers in the U.S. on health care. But as GM has itself granted, the savings on health care made so far in the U.S. remain marginal to its problems. As for the Canadian dollar, a number of studies both in the U.S. and Canada, by governments as well as private consultants – not to mention GM’s own financial reports – suggest that even at an $.87 dollar, GM’s labour cost savings are in the ballpark, as recently estimated by CAW economist Jim Stanford, of between $5-10 per hour in U.S. dollars. That is, GM pays each Canadian worker some $10,000-$20,000 ($US) less annually than their U.S. counterpart and gets the higher productivity and quality already noted. The point is not to deny the crisis within GM, but rather to emphasize that the crisis is not of the workers’ making and cannot be solved by focussing on workers. Workers cannot correct GM’s decisions on models nor set exchange rates. They cannot, on their own, fix the bizarre American healthcare system which accounts for almost half of the total world expenditures on health yet excludes numbers that far exceed the total population of Canada. Because of the integrated nature of the company, this mess in the U.S. system also affects Canadian GM workers. And workers cannot deal with the irrationality of the repeated bouts of excess competition that now threaten GM. With regards to the latter, consider Toyota which is, to much fanfare, getting $125-million to build a car plant in Canada (part of the auto policy that included $450-million to GM – for exactly what is increasingly unclear). Toyota hardly needs the money and is coming to Canada, as it has itself noted, because of the favourable exchange rate and quality of the workforce. The subsidy adds one plant but will, if successful, mean increased pressures to close a competitor’s plant (perhaps one belonging to GM). So the net result of the tax transfers will be no new jobs added (in fact, because of Toyota’s lower North American content, jobs may decrease); the loss of funds that could have gone to social programs; and an industry which, because of the shift from union to non-union plants, is less democratic in terms of worker representation. The corporate drive to squeeze more concessions out of workers is hardly surprising – corporations do what they can get away with. What is so disconcerting is the absence of the union voice that once exposed the underlying dynamic and danger of this road: concessions invite more concessions; concessions divert attention from the larger issues; the promised security never arrives; and along the way the strength of the union is sapped so the union and its members do soon really seem to ‘have no choices’. If unions come to accept the constraints put forth by the corporations, they will continue to stagnate in both membership (why join a union?) and morale (why bother to fight?). The continued relevance of unions revolves around their ability to confront their own renewal and build the capacities, with others, to put new options on the agenda. • The Union has agreed to a restructuring that will allow the outsourcing of 388 non-trades maintenance housekeeping jobs over the term of the Collective Agreement (i.e. the janitorial work). • The Union has agreed to decreases in the daily relief time of 2-4 minutes varying with the particular shift. 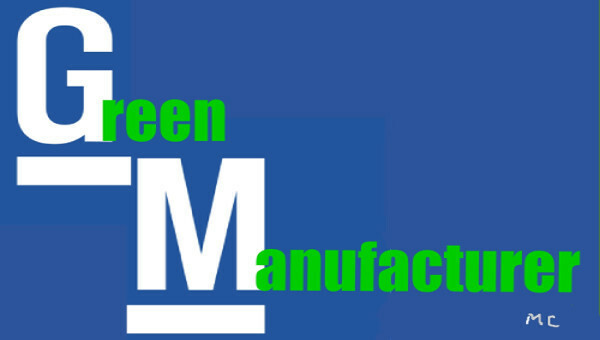 • The Union has agreed to work cooperatively with the Company to implement the global manufacturing systems at the Oshawa location (while this remains a matter of on-going negotiations, it appears to endorse lean production and increased worker ‘flexibility’ – i.e. flexibility for management, not workers). • The Union has agreed to allow the use of a temporary work force in product launch situations for a maximum of eight months (excluding skilled trades). • Concessions were also made on some seniority and transfer rights. In a March 2006 speech at Queen’s University, CAW President Buzz Hargrove argued the following: ‘Their idea of flexibility usually means forcing workers to bend right over backwards. Bend over backwards to keep the employer happy. Bend over backwards to keep your job. That’s not the kind of flexibility I want… And a key part of building a so-called “flexible labour market,” means undermining the role and influence of unions…When the “change” in question…[is] about rolling back past gains, then of course unions will resist. That’s not genuine change. That’s just having your pocket picked.’ Such sentiments are, of course, welcome. Yet, the speech was delivered a few short days after the CAW had not only agreed to greater workplace flexibility over outsourcing, relief time, and workplace rules, but had actively sold these ‘changes’ to its members. Sam Gindin was research director of the Canadian Auto Workers from 1974–2000 and is now an adjunct professor at York University in Toronto. He is co-author (with Leo Panitch) of The Making of Global Capitalism (Verso).